Copper Cabin Kennel offers the most dependable pet day care, grooming, and boarding services throughout Gettysburg, PA. Founder of Copper Cabin Kennel, Coleen I France, ended her journey here on earth Monday June 11th, 2018. She was 58 years young. It was a beautiful day as we laid her to rest at the Garber Mennonite Church cemetery in Menges Mills Saturday June 16, 2018. Pictured is her son, Casey Martin, and her granddaughter Cassidy who she loves big as Texas. Copper Cabin Kennel will remain open during regular hours as usual and will be managed by Casey, Cassidy, and the wonderful group of ladies who have kept the kennel up and running throughout Coleen's battle with cancer. To all of our clients and their four legged friends who Coleen adored, thank you for your support and we look forward to serving you into the future. Since 1982, we have provided professional doggie day care services to the four-legged residents of Gettysburg, PA and surrounding areas. 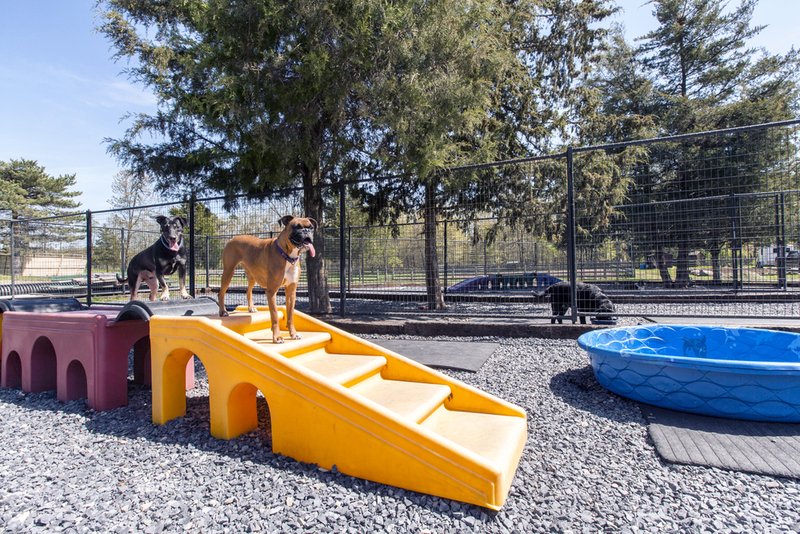 Our spacious facility and large, outside play yards provide an atmosphere that is designed to allow your dogs to run and play all day when you are at work. Our job is to make sure that your pet is given all of the love and attention they need to make their stay with us as pleasant as possible. Our facilities include central air, heat and indoor play areas for bad weather and winter. We offer short-term and long-term boarding services for cats, dogs and small, caged animals in a clean, modern and stress-free environment. Specializing in grooming services for all breeds of dogs. Providing daycare for all dogs, big and small. Short term or long term, for cats, dogs, and small, caged animals.